Organisers of the T10 League have announced the two new teams that will compete in the second edition of the competition in the UAE. Karachians from Pakistan and Northern Warriors from Indian, were chosen as the new franchises and will join the other six teams in the competition at Sharjah Cricket Stadium in December. The addition of the new teams means the competition will now be extended to 10 days after the first tournament was played over four days. Organisers also announced that Team Sri Lanka will be renamed as Rajasthani Heroes, which will be made up of players around the world. Shaji Ul Mulk, chairman of the T10 League is convinced the second edition will continue to go from strength to strength after its successful debut in 2017. Kerala Kings, led by England captain Eoin Morgan won the 2017 title. That was some match in the IPL! Kane Williamson’s Sunrisers Hyderabad have managed to defend another low score. Having set the high-flying Kings XI a target of 133 runs, Hyderabad turned it on in style with the ball with Afghanistan spinner Rashid Khan doing the damage once again with a three-wicket haul. Here are the talking points from the low-scoring match. In another development from the ICC meet in Kolkata, the world governing body hope to introduce even tougher sanctions on instances of cheating and ball-tampering. The ICC was criticised for only awarding a one-Test ban to the likes of Steve Smith in the recent infamous ball-tampering saga that engulfed Australian cricket. 18:15pm – ICC to abolish Champions Trophy in lieu of holding a World Twenty20 every two years. Meanwhile, the ICC have decided to replace the 50-over Champions Trophy with a World T20 championship which will be held every two years. The decision was taken in the recently concluded ICC Chief Executives meeting in Kolkata. The ICC have also decided to award T20I status to over 100 nations. 17:45pm – Malaysia still have hope of being the new home venue for Pakistan cricket team. Malaysia has once again pitched itself as viable alternative home for Pakistan cricket as it seeks the return of high level international cricket in the South East Asian region. The President of the country’s governing body Mahinda Vallipuram has pitched in the idea of hosting the women national team’s matches as well as the PSL. Read what he said here. Karachians of Pakistan and Northern Warriors of India have been announced as the two new franchises. They will join the six other teams for the second edition of the tournament which will be held in December at Sharjah Cricket Stadium. Chirag Suri scored a half-century while Rohan Mustafa and Mohammed Naveed took three wickets each as the UAE ended their World Twenty20 Asia qualifying preliminary campaign with a dominant victory. Former England Test captain David Gower has welcomed plans for a new 100-ball competition but says it is “12 years out of date” as the players’ union raised concerns over the format. Gower, 61, who scored 8,231 Test runs before moving into TV work, believes the England and Wales cricket Board (ECB) may have missed a trick by not acting sooner. Former Australia coach Mickey Arthur hopes the Australia ball-tampering scandal will prove a “reality check for world cricket” and that the banned trio of Steven Smith, David Warner and Cameron Bancroft get a chance to play county cricket in England. The Indian cricket team will open its 2019 ICC World Cup campaign against South Africa on June 5. The official and complete schedule for the 10-team competition to be held in England will be released on Thursday by the ICC. It will be an enticing clash when third-placed Sunrisers Hyderabad host league leaders Kings XI Punjab in the IPL on Thursday. Kane Williamson’s Sunrisers have got their campaign back on track with their incredible win against the Mumbai Indians following two successive defeats. On the other hand, Ravichandran Ashwin’s Kings XI Punjab have defied all expectations to establish themselves as the surprise league leaders with five wins out of six matches. The former Indian opener has stood down as skipper of the Daredevils following a poor Indian Premier League campaign so far which has seen the team lose five out of six matches and prop up the standings. Gambhir has just announced the news at a press conference while Shreyas Iyer will step up to the plate and take on the captaincy. Australian legend Ricky Ponting will remain coach of the team. Cricket’s biggest rivals, India and Pakistan, will face off on June 16, 2019 at Old Trafford. The two subcontinent giants will meet one another in Manchester for the first time since the 2016 Champions Trophy final, in which Pakistan won at The Oval. Next year’s edition of the event follows the old-school format used in 1992, with all 10 participating teams playing each other in a league stage – with the top four then progressing through to the knockouts. The World Cup final will be hosted at Lord’s – the Home of Cricket – for the fifth time. 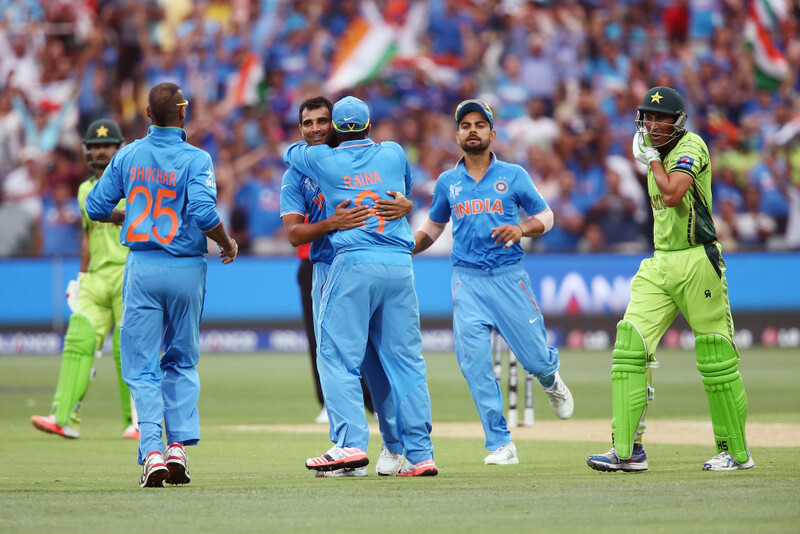 India defeated Pakistan at the Adelaide Oval in the 2015 World Cup. South Africa batsman AB de Villiers has revealed winning a maiden World Cup crown with his country at next year’s tournament in England and Wales is a huge goal of his, but his career will not be defined by whether or not he helps the Proteas to that feat. A 50-over title has proved elusive for the South Africans over the years and now in the twilight of a wonderful career, the 34-year-old is highly charged to lead his team to victory. “We haven’t lifted a trophy before. Yes, it’s important to play other formats but mentally and physically I want to be in a good space come 2019 World Cup,” De Villiers, who has 25 one-day international centuries to his name, is quoted as saying by cricket.com.au. South Africa have reached the semi-finals of the tournament four times over the years, with their last run to the final four coming in 2015. “I’m taking it one game at a time,” he added. “My ultimate dream is not to win a World Cup. I’ve changed my mindset. “I feel it will be nice to win it, it’ll be a bonus, but if I don’t, it’s not going to define my career. AB de Villiers is a veteran of 228 ODIs. 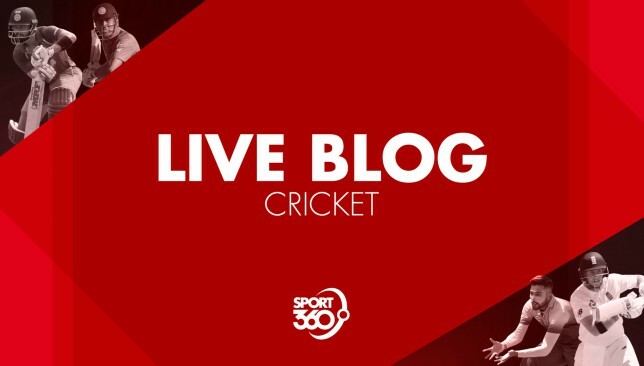 Alex Broun and the rest of the Sport360 team are in place to provide you with the latest news, comment and analysis on all things cricket. The Mumbai Indians had everything to play for at the Wankhede Stadium on Tuesday night. But they delivered nothing. On the great Sachin Tendulkar’s birthday, staring at a won one-loss four record this was time for the men in royal blue and shiny gold to stand up. But instead they melted away. Chasing the Sunrisers Hyderabad’s very gettable target of 119, Mumbai surrendered meekly being bowled out for 87. The former England captain admits England were “curious” of Australia possibly ball-tampering in the recent Ashes series. Asked at an event in Tunbridge Wells whether England suspected Australia of ball-tampering during the Ashes, he replied: “Yes a little bit, certainly in Perth when the outfield was wet with rain they got the ball reversing. Mumbai are desperate for a win in the IPL after losing four of their first five matches. But they look well on their way tonight at the Wankhede Stadium after rolling Hyderabad for just 118. 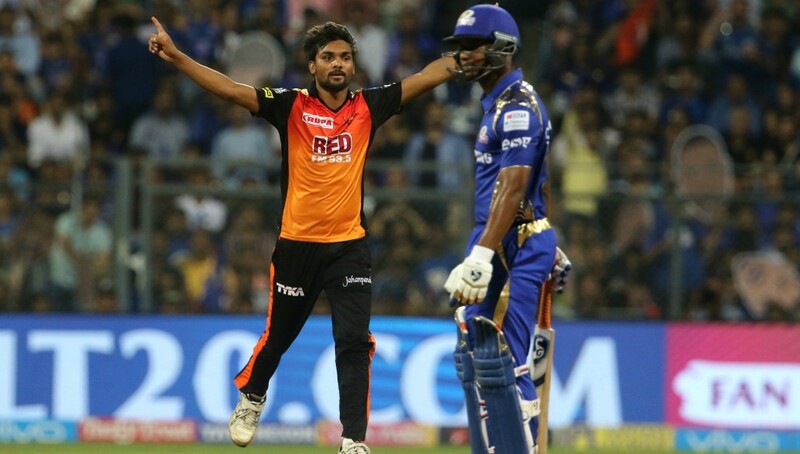 The wickets were shared around for the Indians with Mitchell McClenaghan, Hardik Pandya and Mayank Markande all taking two, while for the Sunrisers topscorers were Kane Williamson and Yusuf Pathan, both with 29. Should be a doddle from here for Mumbai and the perfect way to celebrate Sachin Tendulkar’s 45th birthday. But will they be undone by the final-over curse. Meanwhile, Sunrisers Hyderabad have been dealt a injury blow on the eve of their clash against Mumbai Indians with pacer Billy Stanlake’s tournament coming to an end due to a fractured finger. Billy Stanlake has been ruled out of the remainder of IPL 2018 owing to a fractured finger. The #OrangeArmy wishes him a speedy recovery. Joe Root believes that the ECB’s proposal for a 100-ball domestic competition starting from 2020 can attract new audiences to the game. He is not alone in his support for the format with his predecessor Alastair Cook leaning the same way. “It’s different, it’s exciting. How it all works with the County Championship and Test matches and when it’s played, a lot of that (planning) is still to be done. But I think it’s another interesting step for cricket,” Cook said. Cricket Australia’s tongue-in-cheek tweet on the Master Blaster’s 45th birthday has caused an uproar amongst his fans on social media. Ahead of tonight’s match against Mumbai Indians, Kane Williamson has full confidence in Afghanistan spinner Rashid Khan in claiming wickets after a disappointing IPL campaign so far in 2018. “Rashid is a world class bowler. 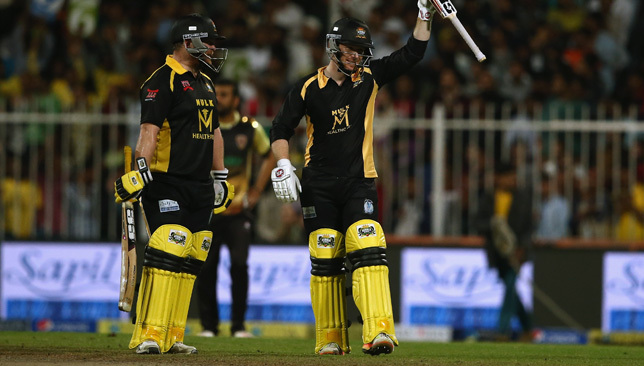 T20 cricket does not make exemptions for any bowler to escape pressure,” said Williamson. The two teams will clash at 18:30 this evening. Pace spearhead Bhuvneshwar Kumar is out of the Sunrisers Hyderabad’s IPL match against Mumbai Indians on Tuesday due to a niggling back injury. However, Sunrisers expect to have opener Shikhar Dhawan fit after an elbow injury. NEWS ALERT: Bhuvneshwar Kumar ruled out of today's game against MI. He didn't travel with the team and stayed back in Hyderabad #IPL2018. The legendary Indian batting genius turns 45 today and birthday wishes have been pouring in from all quarters of social media. 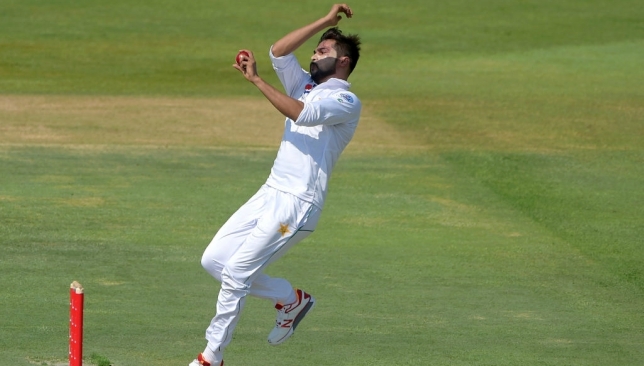 PakPassion writer Saj Sadiq has reported Mohammad Amir will travel to England on Wednesday morning. Pakistan Cricket officials are hopeful Mohammad Amir will receive visa clearance by Wednesday to travel to England. The Men in Green arrived in the UK on Monday ahead of a one-off Test against Ireland next month and then two Test encounters with England. But Amir did not fly to London with the rest of the team after the paceman’s documents were held up. However, the 26-year-old is set to join his team-mates later this week. Amir is a key part of the Pakistan set-up in all formats.